Product of a traditional, passed down through generations vinification process. First, grapes were brought into contact with the fermenting most (about 36 hours.). Afterwards, we use a hand-operated press. This process makes it possible to preserve the real flavourings. We made this wine rest for more than six months in oak barrels. Before the bottling it is not physical processed. 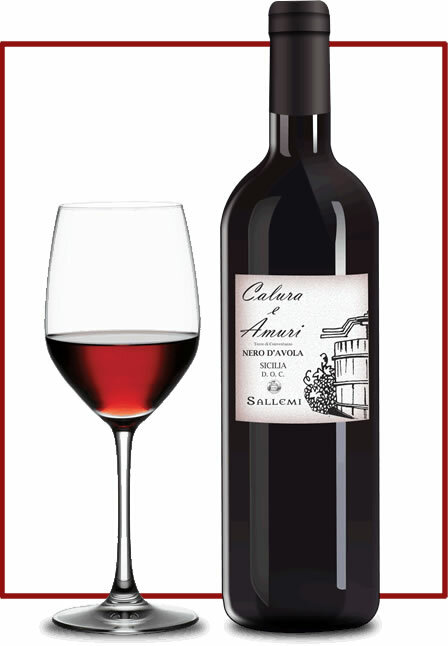 Its taste and aroma will bring you to the just picked ripe Nero D’Avola grapes under the Sicilian sun.